The screen’s a little low, more of a token styling gesture than something that offers any meaningful wind protection, and like the Z250SL the LCD clocks lack a gear position indicator, and it’s only the rear suspension that has any sort of adjustability in the form of preload. But if you want a sporty looking, agile city bike that’s more than capable of hustling down B-roads, the Ninja 250SL is basic, lightweight sportsbiking at its best. Identical to the Z250SL in every way, save for proper under-yoke clip ons (take note KTM RC390) replacing the flat bars and a fairing instead of that well-styled headlamp, the Ninja 250SL trades a bit of the ZSL’s urban nuttiness for a slice of practicality. With ABS it weighs 152kg (that’s 4kg more than the non ABS naked version we tested) and has a 5mm lower seat, while slightly lower pegs give a little less ground clearance for the sake of a bit more comfort for taller riders. The weight of the fairing gives the front end a slightly more pendulous, less direct feeling to the steering – but it’s no problem and you probably wouldn’t notice unless you were chopping and changing between the two. 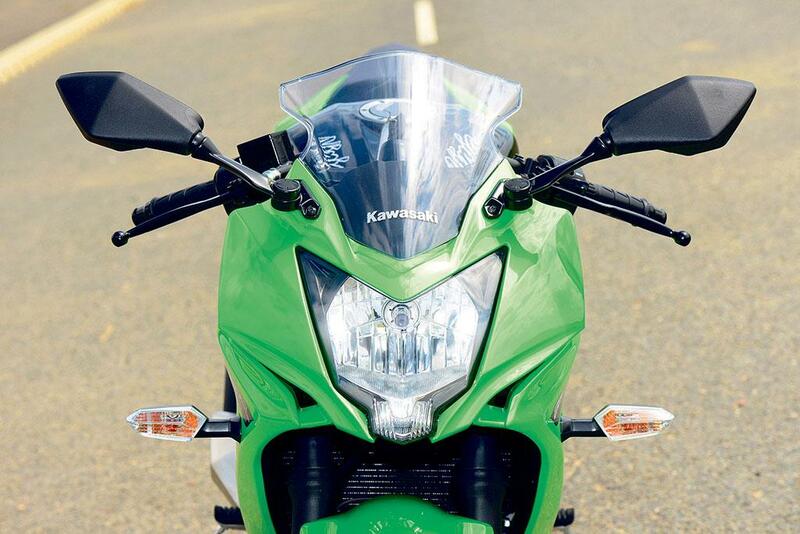 With loads of steering lock, decent mirrors and a super slim fairing, the Ninja 250SL has the ability to nip through traffic like a 125 commuter, but packs the added punch, speed and stability that comes from having an extra 124cc. SL stands for ‘Super Lightweight’ and, at just 152kg ready to ride, you couldn't say it's heavy. There’s no slack or wallow in the chassis, it’s a totally direct riding experience, not what you’d expect from a budget sportsbike. The 37mm conventional fork and preload-adjustable shock are set fairly firm and can patter over bumps when ridden hard, but that’s the surprising beauty of the little SL – you can actually ride it hard. 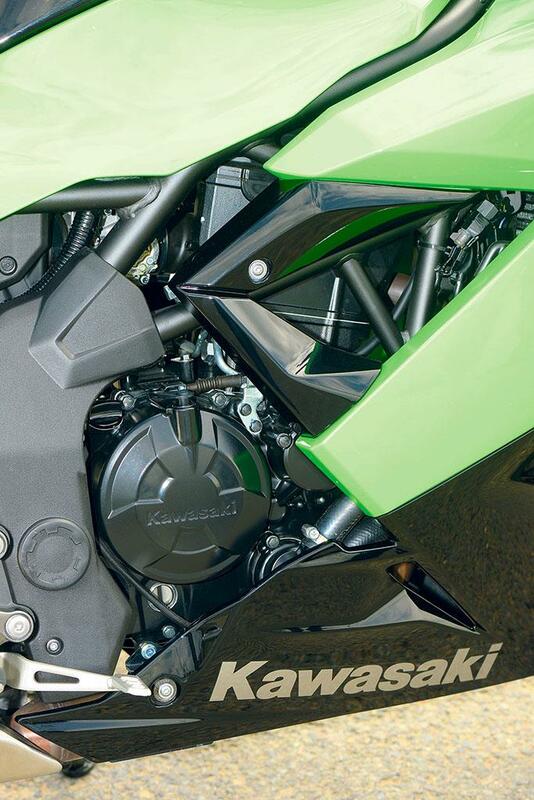 Identical to its naked sibling, the Ninja gets a lightweight piston and low-friction rings, the gusty little motor is eager to rev, the DOHC head providing both impressive low rpm punch with 16.6ftlb torque at 8200rpm before chiming in with its 26bhp of peak power at 9700rpm. In fact, the engine feels as if it’s utterly unburstable and is super smooth, too; the gear-driven balancer shaft doing a brilliant job at eliminating vibes. Granted, performance is limited; in sixth gear the 10,500rpm rev limiter taps in at an indicated 95mph (with a tailwind). But that’s OK, because the last time we checked, the National Speed Limit was 70mph – a speed the Ninja can easily and enthusiastically reach, helped along by its perfect fuel injection and faultlessly slick gearbox. 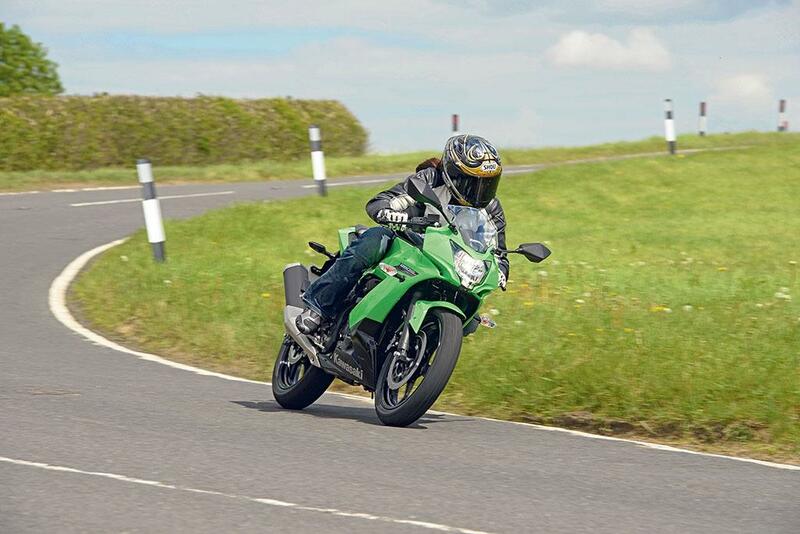 For a bike that costs £3849, the Ninja 250SL doesn’t look or feel like it’s built to a price. The switchgear is robust, the full LCD display appears well made, and the chassis has that pleasing firmness which comes from suspension that, although basic and lacking in adjustability, is ideal for the job it needs to do. It's got everything it needs,and nothing that it doesn't. Unlike the naked ZSL, the Ninja doesn't suffer the obvious omission of an ABS version. There's also a naked version, called the Z250SL, which boasts all the same underpinnings, without the full fairing. Alternatively, you could step up to the parallel-twin Z300 or Ninja 300. 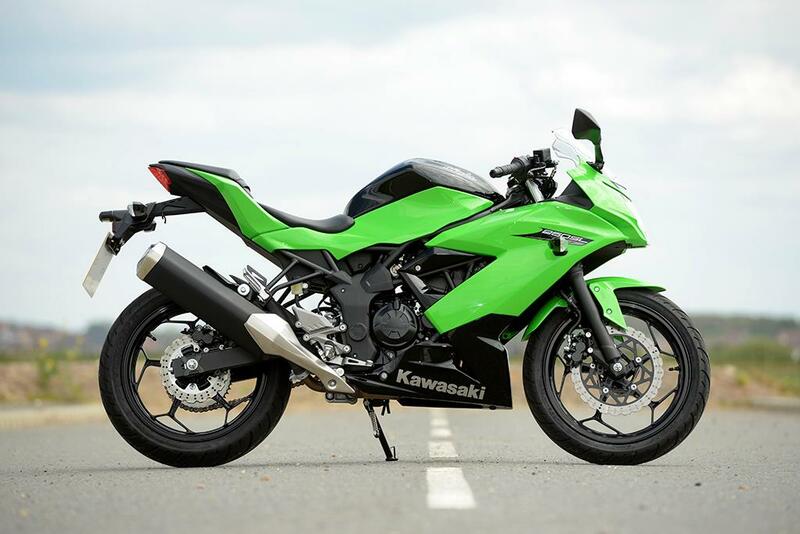 2 owners have reviewed their KAWASAKI NINJA 250SL (2015-on) and rated it in a number of areas. Read what they have to say and what they like and dislike about the bike below. most casual and economic pure sports bike. This bike is capable of both casual and sporty riding. It is about 1~2 hours. Because the vibration is a bit strong. And the engine brake is very strong. So far, there is no trouble. Even stall. Annual servicing cost is approximately 5,000 yen (about £35) and does not include my insurance premiums. Fuel consumption is also good, at 30 km per litre. The bike is very simple, with almost no accessories attached. I like such that style. But the bike does not have any smart phone mount space. I recommend to attach some handle mount stay. I payed 500,000 yen (around £3500) for the SL when it was new.